As a sport that grows in popularity each day, more and more people of all ages want to learn how to play golf. Campers who participate in the optional golf program will have the opportunity to develop and improve their game at the golf courses near our camps. Students will learn and practice for a total of 10 hours during a 2-week camp session. 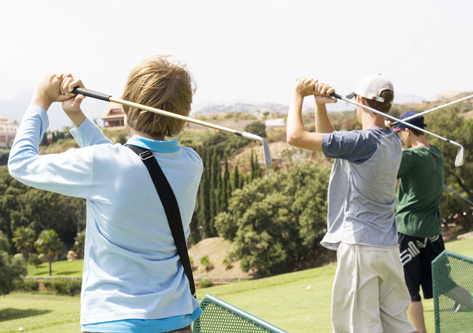 Students who sign up for summer camp golf lessons may not always be able to participate in all of the other camp activities due to periodic overlapping schedules. You can't always do it all! We encourage and advise parents to register their child(ren) in the golf program as soon as possible, as program spots are limited. Campers cannot join nor cancel an optional sports program once it has started. 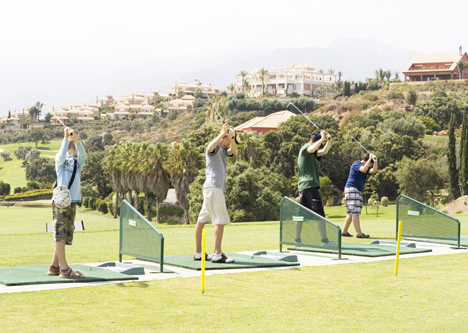 Summer camp golf lessons as an optional sport command a supplement. Campers who sign up for the sports camp will not participate in morning language classes as that is when they will have their golf lessons.